LAWRENCE PANTAGES / GAZETTE The Ohio State Fire Chiefs Association presented Seville Fire Chief Jerry Winkler with a "service bar" acknowledging his completion of an Executive Fire Officer training program from the National Fire Academy. 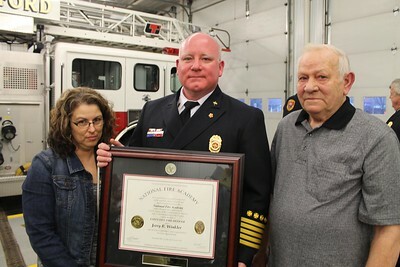 LAWRENCE PANTAGES / GAZETTE Seville Fire Chief Jerry Winkler was joined by his wife Anita and father Delbert for a ceremony Thursday at the station commemorating his completion of a National Fire Academy certification as an EFO, or Executive Fire Officer. The program required two weeks of training and education each year for four years and four research assignments. LAWRENCE PANTAGES / GAZETTE Seville Fire Chief Jerry Winkler wore his dress uniform to a ceremony honoring him Thursday for receiving Executive Fire Officer certification from the National Fire Academy. 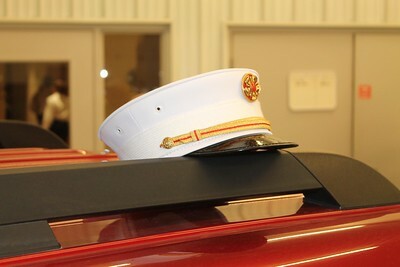 While he greeted well-wishers at the station, his formal hat rested atop a department vehicle. 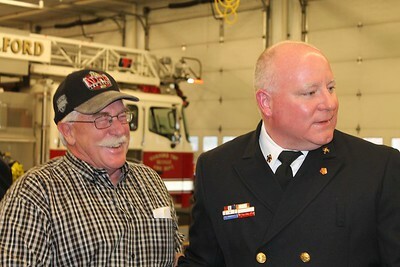 LAWRENCE PANTAGES / GAZETTE Guilford Township trustee Bob Rohrer and Seville Fire Chief Jerry Winkler share a moment Thursday during a ceremony to honor Winkler's completion of a national certification program. Rohrer said when the township received a letter about Winkler's accomplishment, he asked knowledgeable people what it meant and was told, "It's a really big deal." So Rohrer put together a celebration of about 50 area fire officials and political leaders. 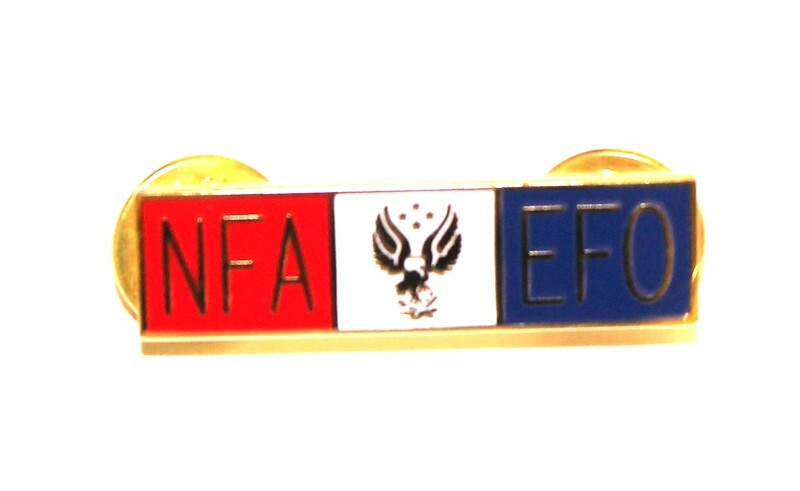 The Ohio State Fire Chiefs Association presented Seville Fire Chief Jerry Winkler with a "service bar" acknowledging his completion of an Executive Fire Officer training program from the National Fire Academy.